Romance has always been secondary to friendship in the Toy Story franchise. Sure, Buzz and Jessie got some sweet moments, Ken and Barbie’s relationship was enjoyably turbulent, and Mr. and Mrs. Potato Head were a delight, but for the most part those dynamics played second fiddle to Buzz and Woody’s friendship. Case in point: Woody’s relationship with his girlfriend Bo Peep is briefly established in the first film, barely referenced in the second, and then dropped entirely in the third (where Bo doesn’t even appear). 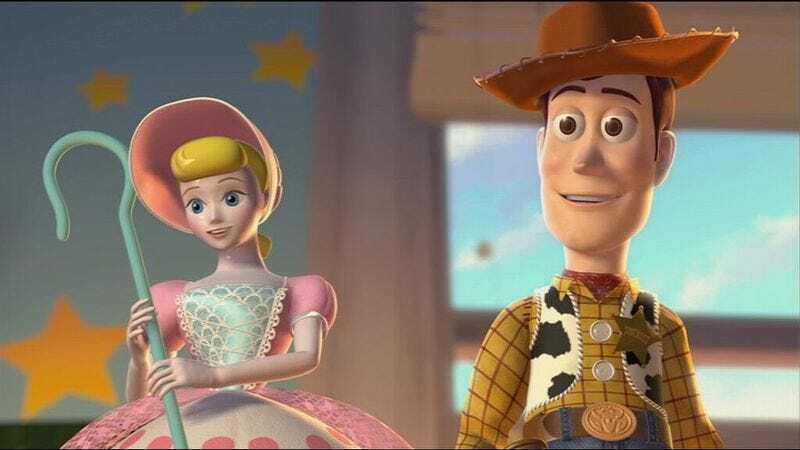 But Bo/Woody shippers have something to cheer about, because Collider reports Toy Story 4 will be a love story between the mild-mannered cowboy and his porcelain lover. Screenwriters Rashida Jones and Will McCormack will have to get creative in bringing Bo back after her mysterious disappearance from Toy Story 3. At one point Woody name drops her as one of the friends the group “lost along the way,” leading fans to create a bunch of different theories about what happened to her. Of course, since Pixar President Jim Morris has previously said Toy Story 4 is “not a continuation of the end of the story of Toy Story 3,” it’s also possible this will be some kind of prequel, although it’s not being billed as such. Regardless, it’s welcome news to have Bo Peep back, especially because Toy Story hasn’t been the greatest when it comes to gender parity. Bo is basically the only female toy with lines in the first film, and while the following films introduced the likes of Mrs. Potato Head, Jessie, and Barbie, it’s nice to see Toy Story’s OG lady front and center again. Annie Potts voiced Bo in the first two Toy Story films, but it’s not yet known if she’ll return to the role in its newly expanded capacity. Toy Story 4 is expected to hit theaters June 16, 2017.